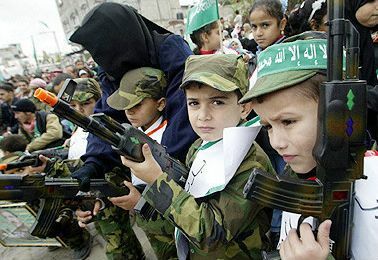 “Children’s Army of Hamas,” a new 11-minute documentary by the Center for Near East Policy Research, shows from up close the training of thousands of children by Hamas, in special terror training and indoctrination camps in Gaza. Footage for the documentary was shot by a television team hired by the Center for Near East Policy Research. The Center for Middle East Research explains tat UNRWA states on its website that its curriculum is dictated by the Hamas authorities. The Center adds that the military training program, too, is included in UNRWA’s school curriculum.